Fast Company magazine has just named Toyota as one of the world’s most innovative companies as they lead the way in fuel-cell technology. 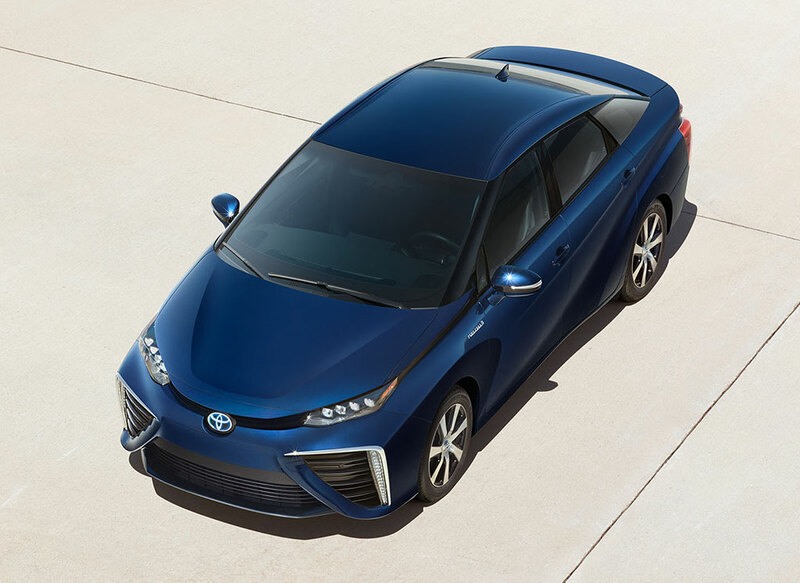 As Toyota did with the Prius, the Toyota Mirai (Japanese for ‘future’) will be the future for zero-emission vehicles. With 1,500 orders in Japan the first month of sales, Toyota is confident the release of this innovative vehicle in the fall of 2016 for California dealerships will have a similar success story. 3,000 units will be produced for California buyers priced at $57,000. To fuel the Mirai, there is an obvious need for hydrogen fueling stations and it is roughly estimated for California to have 50 fueling stations by the release of the Mirai. Additional 12-25 stations are planned to be built by 2020 stimulating the growth of Toyota’s fuel-cell technology for the future. Developers are confident that 75 hydrogen fuel stations can sustain a population of 17,000 to 24,000 hydrogen-fueled vehicles. Visit Toyota USA’s official site for more information on how this technology works! Everyone claims to have the best customer service around. I could go on and on telling you all about our numerous awards and phenomenal online reviews, but that’s not what you’re going to read. Don’t get me wrong, we are beyond proud of our customer service accomplishments, but it’s not just our awards and reviews that we pride ourselves on. It’s the little things. We all know that buying a car or getting your vehicle serviced can be quite the ordeal – an all day event even! There are times you will be with us long enough to even order-in a meal. One afternoon there was a customer who decided to do just that, but the restaurant she ordered from neglected to include any silverware. Our IT Director recognized the issue and reassured her that he knew of several hiding places around the office where he could find her a fork. After rummaging our usual utensil stash spots, he returned to her with silverware in hand! Our IT Director gets no bonus or recognition (beyond this blog post) for his above-and-beyond efforts to please our forkless patron. That’s just what we do around here. Need a fork? We’ll get you one. Need a car? We have those too, but your comfort and satisfaction is our number one priority. So, beyond our WiFi lounge, big screen T.V.’s, complimentary coffee, tea, and water station, we are here to make you as comfortable as possible – even those in our IT department! Share your experience with us online: Yelp, Google+, Facebook. We’d love to hear from you!